Is it possible to prevent pre-diabetes from turning into diabetes 100% of the time? Back in April, I showed you how inflammation is one of the primary causes of diabetes. More and more research shows that inflammation is what turns pre-diabetes into full-blown diabetes. Fortunately, there's growing evidence that one particular nutrient can stop this progression. And it can do so quickly and effectively. Before people develop type-2 diabetes, they almost always have pre-diabetes. This is a condition where the body is losing its ability to process glucose. The only symptom is a higher than normal glucose level in your blood (usually 100-124 mg/dL). And this can rapidly cause other diabetic symptoms to develop. People don't always know they have pre-diabetes until it progresses into type-2 diabetes. So this information is important for everyone - whether you have diabetes or not. Last year, researchers published a study in Diabetes Care showing that you can stop pre-diabetes from turning into diabetes with a common Indian spice. This spice is curcumin, which comes from turmeric. In the study, the researchers followed 237 pre-diabetic participants in Thailand. They gave the participants either three capsules of 240 mg of curcumin (720 mg total) or a placebo every day for nine months. They also conducted regular examinations of the participants. These exams measured their body weight, waist circumference, glucose tolerance, insulin resistance, and other diabetic biomarkers. 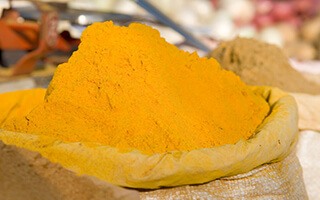 After nine months, the researchers found that the daily dose of curcumin was extremely effective in preventing diabetes. In fact, it prevented diabetes in every single person taking it! In the placebo group, 16.4% of the participants developed diabetes. But not one person in the curcumin group developed diabetes. That's astounding! The curcumin had a success rate of 100%. But there's more. The researchers also found that the curcumin users had significantly improved pancreatic beta cell function (beta cells release insulin to control serum blood glucose levels) and decreased levels of insulin resistance. In other words, their ability to process glucose improved, and this brought their blood levels down. So not only did the curcumin prevent the diabetes, it actually made them healthier! Amazingly, the study authors made a profound concrete conclusion (they usually say more testing is needed). They said, "Our study showed that the curcumin extract can effectively prevent the pre-diabetes population from developing type-2 diabetes mellitus... because of its benefits and safety, we propose that curcumin extract may be used for an intervention therapy for the pre-diabetes population." So if you have pre-diabetes (or any chronic inflammatory condition), curcumin needs to be on your daily supplement regimen. Unfortunately, most curcumin is hard for the body to absorb, so I recommend using Meriva, a form that is 29 times more absorbable than normal curcumin (turmeric). You can get Meriva from Advanced Bionutritionals in their anti-inflammatory formula Reduloxin. The daily serving of Reduloxin contains 150 mg of turmeric and other anti-inflammatory nutrients. This is a standard dose for most people. However, if you have prediabetes, you'll need to double or even triple this dose. 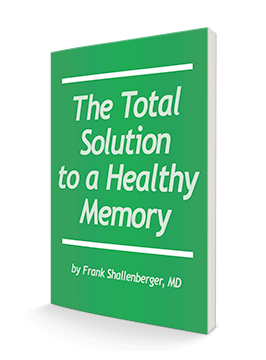 Again, this formula is far better absorbed than most, so you don't need to match the 720 mg used in the study. But you will probably need more than the standard dose.